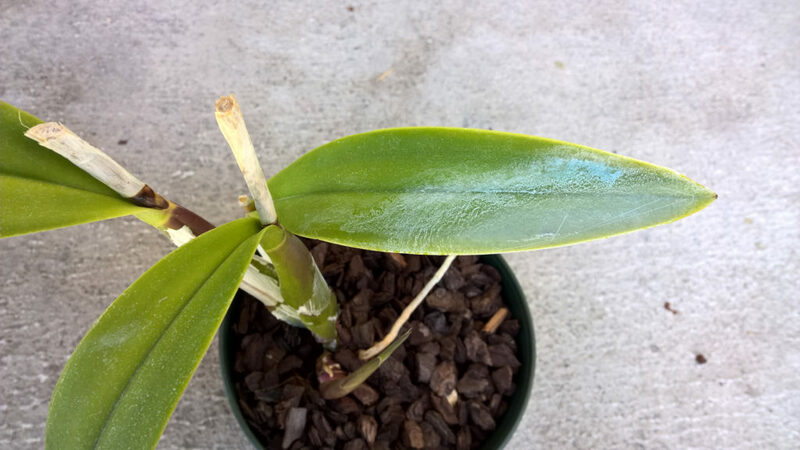 Q: With what can I clean the leaves of my orchids to remove white residue left from watering? A: The white residue is probably calcium from your water supply and best can be avoid by keeping the water off the foliage. If that is not possible you can treat your water to reduce the pH to 5.5-6.5. Water in this pH range will not leave a residue on the leaves. To clean the residue you can use cotton + vinegar and scrub the leaves until it is gone.